It’s hard to believe snow is just around the corner. In preparation for winter, the team at Tahoe Donner worked hard this summer on numerous off-season improvements for members to enjoy this upcoming ski season at Tahoe Donner Downhill Ski Resort and the Cross Country Ski Center. With its Cross Country Ski Center ready to open November 23, and the Downhill Ski Resort scheduled to open December 7, conditions permitting, Tahoe Donner is proud to announce the following on-mountain enhancements for the 2018/19 winter season. The Downhill Ski Resort is ready to unveil its new Snowbird Lift, a fixed-grip triple chair on track to spin opening day with Mother Nature’s cooperation. The new lift replaces the original double chair installed in 1971. Manufactured by Skytrac – a subsidiary of Leitner-Poma of America that specializes in building economical fixed-grip lifts for small to mid-size ski areas across the U.S. – the new Snowbird Lift will provide improved access to beginner terrain, modern and reliable chairlift technology, and compliance with forthcoming ANSI and Cal-OSHA requirements. The project began this summer with the removal of the original lift and its 10 towers positioned in the center of Snowbird Run. With a goal of providing more beginner skier terrain and expanding the Learning Center area, the new lift towers are installed 70 feet to the east and now stand on the skier’s right edge of the run. Once at the top, the new unloading area will provide more space to safely exit and alleviate congestion. Once heading downhill, skiers and riders will enjoy wider terrain along this popular beginner run, improving mobility across the slope. 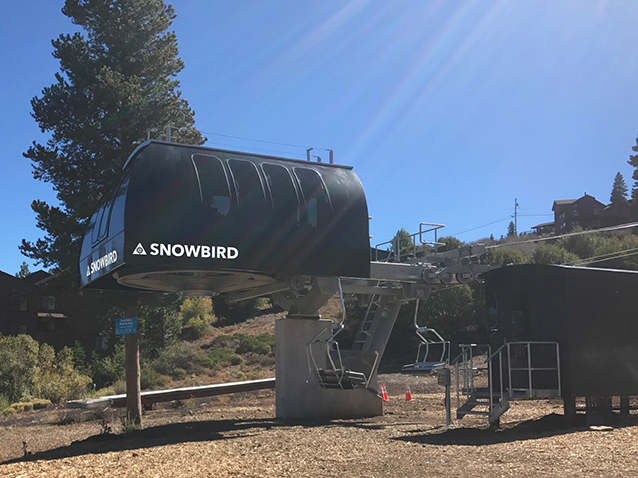 Unlike its predecessor, the new Snowbird Lift will be fully operational during power outages thanks to backup tertiary power that runs full-time off the grid. The Downhill Ski Resort continues to focus on the beginner experience. This winter, the Caterpillar Conveyor (C2) will be relocated near the Ski School Yurt, providing better terrain for beginners to learn how to turn and stop before advancing to the Snowbird Lift. New this year, Ski School will be splitting up its Snowflakes classes into two different age groups; ages 3-4 and 5-6. Classes for ages 3-4 will be shorter at 1 hour and 15 minutes long and offered four times daily. Ages 5-6 will continue with half day and full classes. 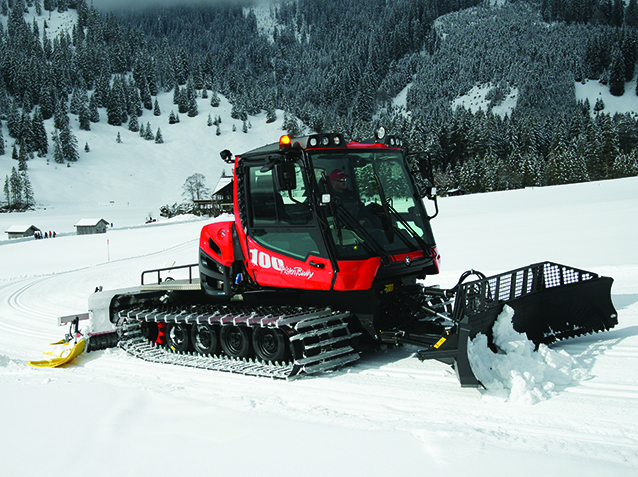 As the Downhill Ski Resort continues to provide its guests with expertly groomed terrain, a new PistenBully 400 ParkPro grooming machine will make its debut this winter. The same model used for the X Games, the 400 ParkPro is known for its power and agility, allowing for more reliable and quality grooming in a variety of conditions, including the resort’s terrain park and park features. Using Tier 4 engine technology to provide lower emissions and more fuel efficiency, the 400 ParkPro is a welcome addition – the results of which are sure to be noticed this winter. In 2016, Tahoe Donner was the first resort in the U.S. to install and use SMI Silent PoleCat Snow Guns for snowmaking, chosen for superior technology that dampens sound levels and reduces energy consumption. This summer, the snowmaking hydrants were installed in concreate ground vaults that can lowered underground when not in use. This will allow for continuous groomed corduroy from the top to the bottom on Snowbird Run and opens the entire run for improved safety and more skiable terrain. To back its commitment to providing the best skiing in all conditions, the Cross Country Ski Center (TDXC) just added a new addition to its existing grooming fleet. Introducing the multi-talented PistenBully 100 – a smaller, lighter and nimbler snowcat equipped with the most powerful engine in its class. Like the 400 ParkPro, the PistenBully 100 is powered by the more eco-friendly and fuel-efficient Tier 4 engine, and comes with a diesel particle filter that further reduces pollutant emissions significantly – as much as 90% from Tier 3. Its new tiller has more teeth to process the snow, resulting in a better ski surface once groomed, while the rubber tracks and new compaction roller will allow for precise grooming in thinner conditions. TDXC continues to add higher-performance and top-of-the-line ski and boot equipment, and allows guests to try new gear before they buy it. The newer classic ski skin technology made of synthetic mohair for the kick zone instead of grip wax or a waxless pattern is proving popular for both recreational skiers and racers. 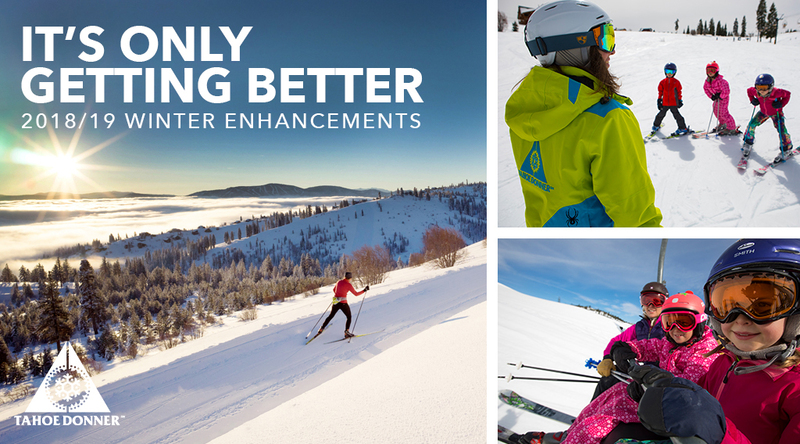 Experience and compare the reliable traction and smooth glide of these new classic skis. This year’s XC demo fleet includes Fischer Twin Skin Carbonlite, Fischer Twin Skin Race, Salomon S/Race, Salomon Aero 9 Skin and the Atomic S Race Junior. Updated this year is the usual high-end recreational ski skate gear, including Fischer Speedmax skis, Salomon Carbon Skate Lab boots and LEKI carbon poles. Looking for one boot to handle both classic and skate skiing? Try the Salomon S/Race Pursuit Prolink. Performance options from Fischer and Salomon also will be available for both dedicated skate and performance classic boots, and the Salomon Pro Combi offers stability and comfort in the basic rental package. The Cross Country Ski Center is installing new directional trail signage and updating certain trail names to better assist passholders and visitors in exploring its 100km of trails.